Modern tanks are called diaphragm expansion tanks and are attached and hang down from the boiler piping on the supply side of the system. Older models were larger, horizontal and connected from above the system. 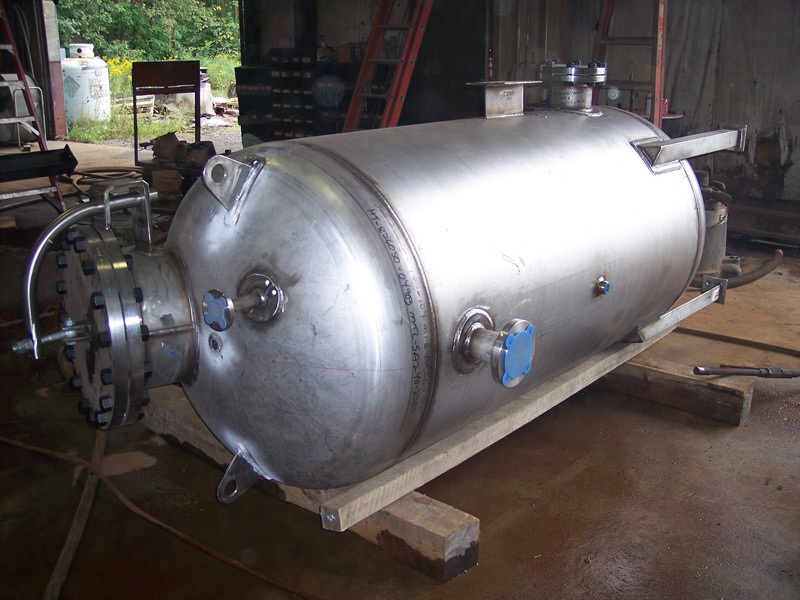 Expansion Tanks – Gladwin Tank Mfg., Inc. Expansion tanks are easy to maintain, and if they are pre-charged, these tanks are literally maintenance free. All repairs should be done by a certified plumber. These pressure tanks ensure constant pressure within the piping system, and act as a safety device. Without them, the boiler may explode, the pipes could burst and overflowing is a major concern. They are typically composed of a stainless steel tank, blue or green exterior paint and a rubber spacer called a diaphragm located on the inside of the tank. This diaphragm provides an air-tight seal and divides the tank in half-the bottom is pressurized air, while the top is left open for excess water from the boiler. Since they occasionally hold drinking water, expansion tanks, like boilers or other food processing tanks and water pressure tanks, must be sanitary, non-contaminating and conform to health standards. The interior walls of the tanks need to be smooth and groove free. Besides domestic and commercial closed heating systems, most vehicles contain smaller expansion tanks for their heating systems. The purpose of expansion tanks is to absorb excess water pressure in a closed water heating system. Any water heated in a closed space will expand. Therefore, heating systems need additional space for the increased water volume when it is at a high temperature. The excess water enters the expansion tank, which is filled halfway with pressurized air at 12 psi and divided by a rubber diaphragm spacer. While the water volume is up, the extra water fills the tank. The top half of the tank is directly connected with the heating system, and when the temperature decreases, the pressurized air on the bottom half of the expansion tank pushes the water back into the boiler system. This ensures there will be no pipe damage because of too much pressure. Water heating systems without expansion tanks risk the internal boiler pressure increasing beyond the release setting of the pressure release valve (PRV). When the PRV opens, the water leaves the system and creates pressure that is too low. Expansion tanks are always properly charged with air, which shouldn’t exceed 12 psi, or the water will boil and this consistency is a major benefit to using expansion tanks. 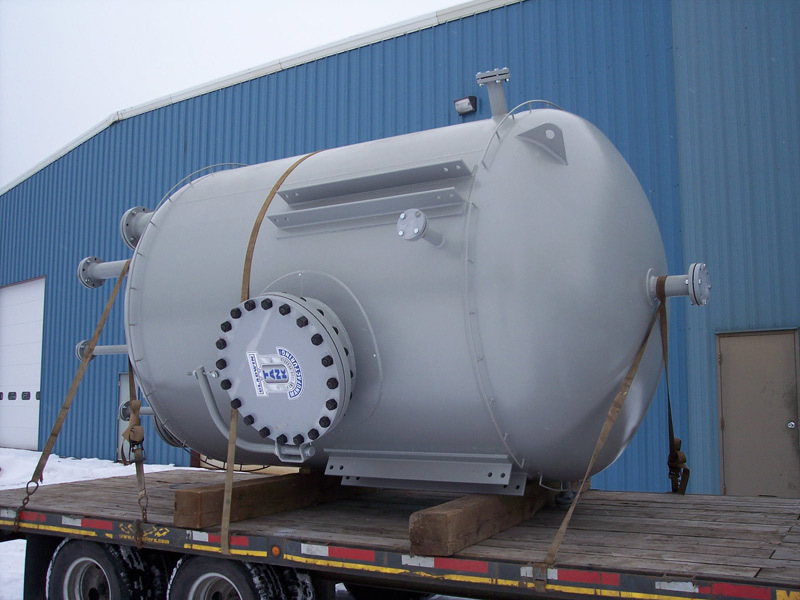 Expansion Tanks Expansion tanks are small vessels containing pressurized air that are components of closed water heating systems for both residential and commercial buildings.